You can see the films here – as well as more about our work to support people with dementia to have a say. Producing guidance notes to improve the ways that other organisations work with people with dementia. DEEP is supported by Innovations in Dementia. The funders are Joseph Rowntree Foundation, Comic Relief and Life Changes Trust (for work in Scotland). There are almost 100 DEEP groups, who are all doing amazing work. Dementia Diaries is an innovative project which uses audio diaries to bring us a wide range of voices of people living with dementia. The brainchild of On Our Radar, Dementia Diaries has now been integrated into DEEP, and is led by Rachel Niblock and Philly Hare. People with dementia are supported as ‘reporters’. They can use a landline, a mobile, emails or an OwnFone at any time to file their reports – which range from the very personal to the very political! The project has huge potential to educate, to challenge attitudes, to connect and to motivate. The language we use about dementia affects how people think and feel about dementia. “Words are very powerful – they can build you up or put you down. When you are speaking about dementia remember this.” (Agnes Houston, person with dementia). We want everyone to think carefully about the language they use in relation to dementia and in particular to avoid ‘curl up and die’ words such as sufferer and victim. We recognise that it is going to take collective action to fundamentally change the choice of words that are used to describe dementia and its day to day experiences. 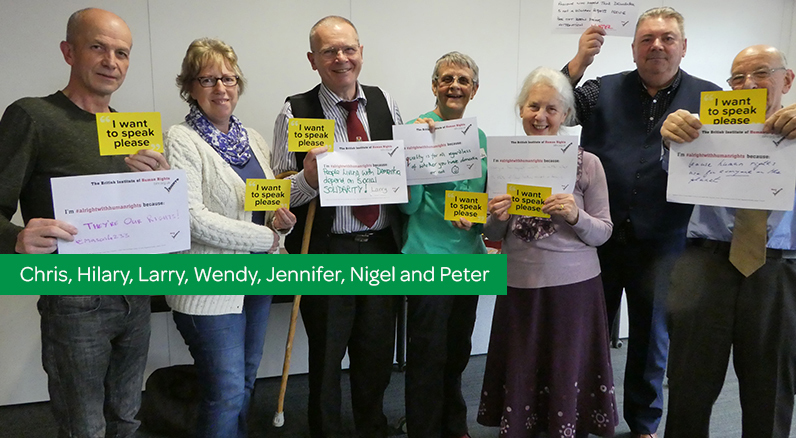 The Dementia Engagement and Empowerment Project (DEEP) and the Dementia Action Alliance (DAA) have joined forces in a Call to Action around ‘Dementia Words Matter’. Dementia Diaries produced an article where people living with dementia discuss how the media can better phrase its coverage of the illness. The language we use to talk about dementia influences how people with dementia are viewed and also how they feel about themselves. People with dementia prefer words and descriptions that are accurate, balanced and respectful.